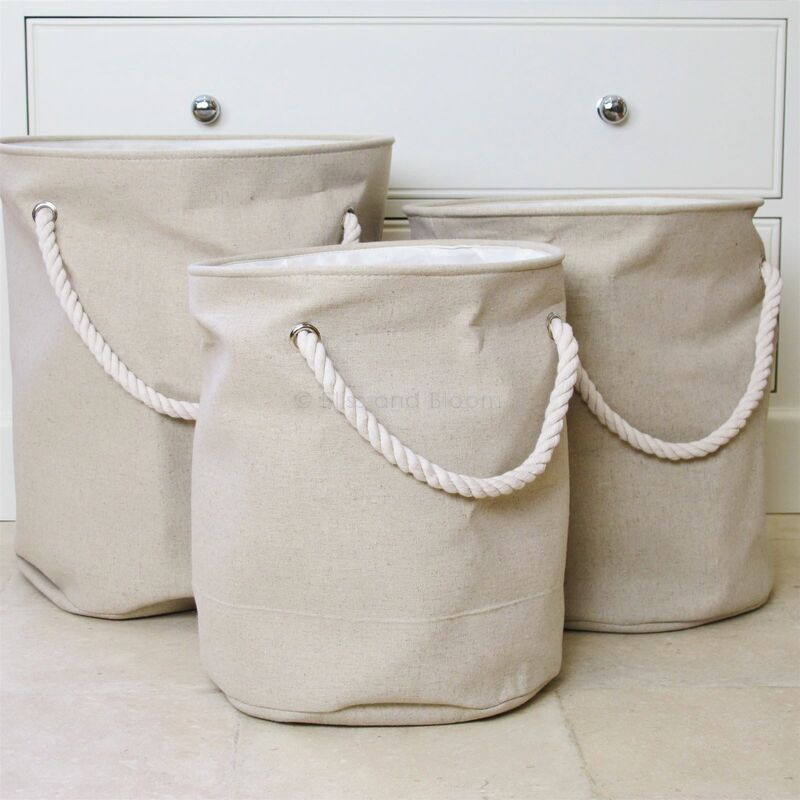 Set of 3 linen laundry bins. 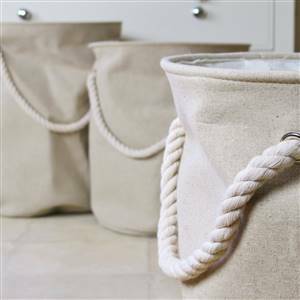 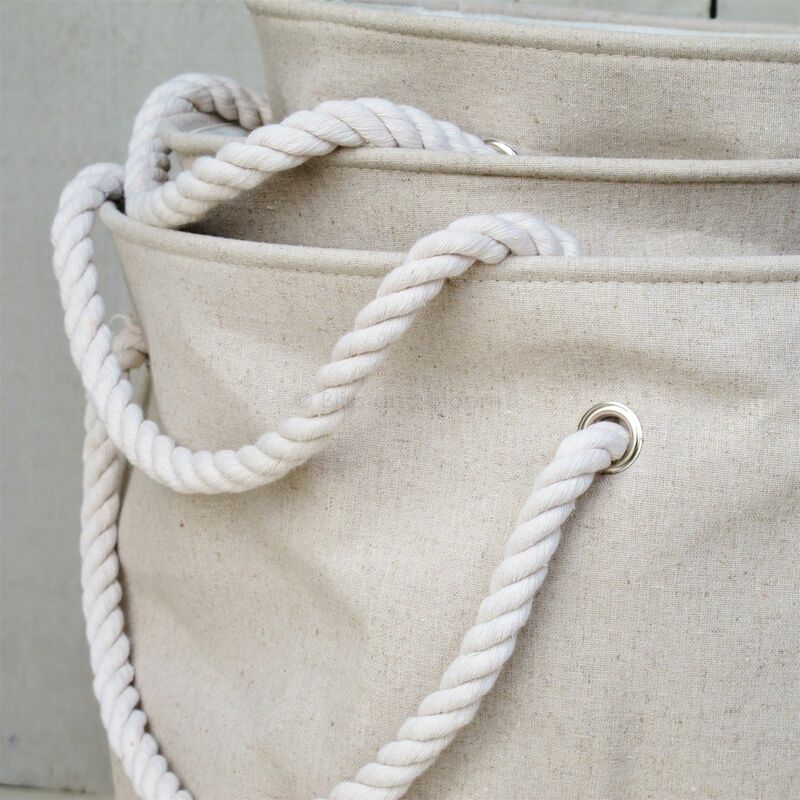 Each bin is linen in colour, is lined and has beautiful cream rope handles. 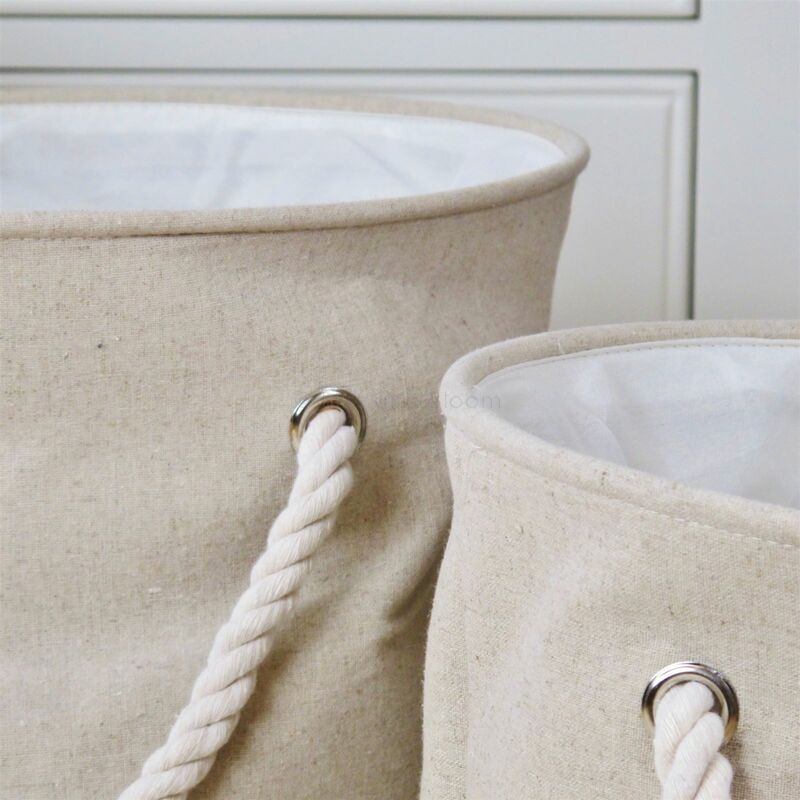 Look fabulous in a bedroom or bathroom and great for storage in a child's bedroom.